Todak is Garfish and not Swordfish as we had been told. Tipah tertipu (I've been deceived). Swordfish are not schooling fish. They swim alone or in very loose aggregations, separated by as much as 10 metres from a neighbouring swordfish. 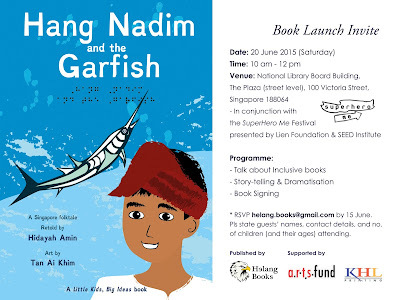 So, it could be the garfish (not swordfish) which attacked Singapore then. Anyway, we launched my fourth book last Saturday at the Superhero Me Festival. 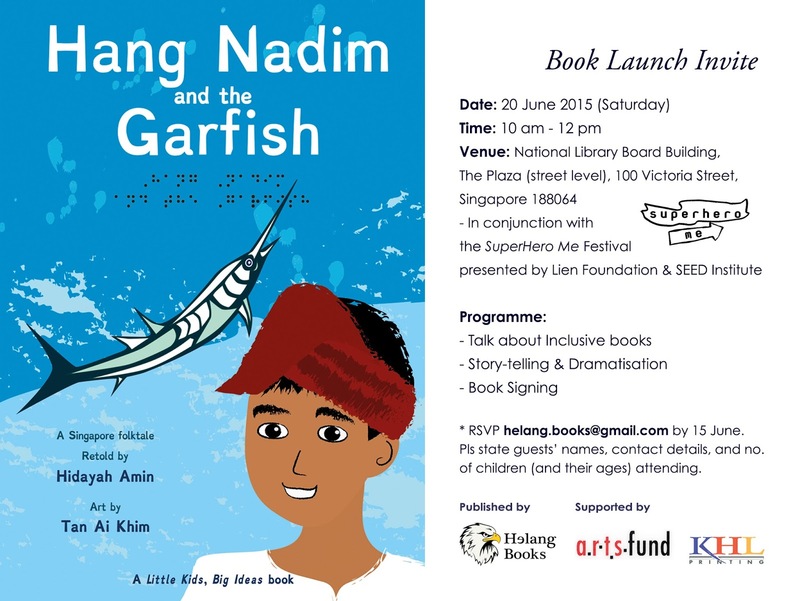 This inclusive Hang Nadim and the Garfish is the first book in the Little Kids, Big Ideas series of children’s picture books. The project, known as To S.I.R (Socially Inclusive Reads) with Love, gives kids – with or without special needs – equal opportunities to enjoy good books. It seeks to reach out to a new audience and members (children/families/friends/educators) of the special needs community. The Little Kids, Big Ideas series celebrates every child’s potential, motivating kids to believe in themselves and their abilities to make a difference to the world.